The What: Neutrik has launched its XIRIUM PRO Wireless Digital Audio System. Designed as a cable replacement system, providing audio signals to and from devices without long or complicated cable runs, XIRIUM PRO delivers full bandwidth audio at low latency and compression-free. XIRIUM PRO offers audio professionals flexible, convenient, FCC license-free audio that is ideally suited to a myriad of live sound applications ranging from concert and theatrical performance to worship and presentation / conference use. TheWhatElse: Central to the XIRIUM PRO is what Neutrik calls DiWA (Digital Wireless Audio). Developed by Neutrik, DiWA technology provides compression-free, FCC license-free, wireless transmission of audio within the 5 GHz band. DiWA delivers audio comparable to traditional cabled systems at full range (20 Hz–20k Hz) that is free of any compression or compansion. Equally noteworthy, the system achieves this while delivering extremely low latency equal to 3 milliseconds—regardless of how many XIRIUM PRO devices are used. All signals are sample accurate with no "slippage" in signal timing. The system enables performers, lecturers, and others to experience high-quality audio performances without the distracting delays inherent in many wireless technologies. XIRIUM PRO is a modular system that enables flexibility of signal type, with both input and output modules available for analog, AES, and Dante. The system facilitates the transmission of all three audio formats with transmission distance ‘cable replacement length’ of greater than half a mile (>1 Km line-of-sight).The system can provide RF output up to two watts when used with a high-gain antenna. The designers of the XIRIUM PRO Wireless Digital Audio System put an emphasis on flexibility. Configurations support as many as ten discrete channels of audio via five transmission units. On the receiving side, XIRIUM PRO supports an unlimited number of receivers. As long as a receiver can ‘see’ the transmitter's signal, audio engineers can use as many receivers as necessary for their project. Further, a repeater module is available that converts any receiver module into a repeater unit. 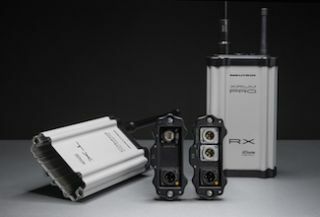 The XIRIUM PRO system accepts Neutrik powerCON TRUE1 connectors. As a result, there are no unsightly power supplies necessary. With its ruggedized outdoor rated housing, the system can be used indoors or outdoors. For added convenience, XIRIUM PRO supports control and system adjustments system via tablet or computer. TheBottomLine: A flexible solution for end users, integrators, and consumers, the XIRIUM PRO DiWA is a strong candidate for those mindful of low clutter, future-proof AV.Neutrik’s XIRIUM PRO Wireless Digital Audio System is expected to be available Q1 of 2016.